← Resignation of Pope: How Might This Affect Bible Prophecy? Watch and Find Out! We celebrate Holy Communion once a month at church. I am one of the stewards who distribute the elements, symbols of the Body and Blood to the particpants. 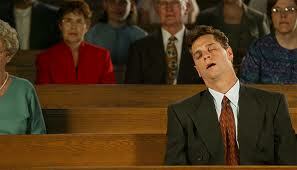 I notice that there are various kinds of church attendees. 1. The earnest ones who really celebrate the Lord’s table remembering to confess sins, pray for the emblems, giving thanks to the Lord for salvation, healing and then rejoicing that He will return soon to take His Bride home. .3. Those who are seat-warmers and have been attending church for many moons, who refrain taking the elements, knowing the warning and consequence that if they are not ready to partake, they should refrain from it because they have not accepted salvation or because they remain defiled by sins not confessed. What does Holy Communion mean to you? How long has it been since you last participated at the Table? Do you remember? It will make a difference to your conviction, commitment and your Christian walk. Will you be ready for His coming? Communion does cause you to reflect periodically to get yourself ready for the Rapture – will you be caught unawares? 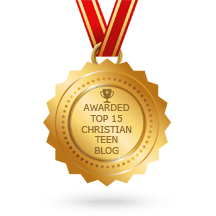 This entry was posted in A CLICK A BLESSING TODAY, CHRISTIAN DIM SUMS, CHRISTIAN FOUNDATIONS OF BELIEF, CHRISTIAN LIFE AND THE WORD, CHRISTIAN TAGALOG BLOGS, CHRISTIAN TEENS BLOGS, SHARING STRUGGLES , Shaping Spiritual Solutions! and tagged attitudes, Coming King, healing, Holy Communion, Hope of Heaven, salvation. Bookmark the permalink. Yes, it cost Him so much. How can we forget? Yet we do and must be constantly reminded as we take it for granted. The Lord knew when He instituted the Lord’s Supper. Thanks for your comments Cloudwatcher. Thank you, Evelyn. As always, wonderful words of life. Steve, many forget that the Ordinance of the Holy Communion is to help the believer to affirm his beliefs. Frequent affirmations help one keep the faith and to be thankful and appreciative of the work of Christ accomplished in the lives of His own. It also reminds him of the hope to come. It also is done in the fellowship of believers so each one is assured he is not alone in belief. but in a crowd of many witnesses. It is for our good not God’s. Thank you for your support. As always, wonderful words from you, conveyed by your total surrender to Christ. What an example. You’re in my cloud of witnesses, forever. God bless you.